Today was one of the toughest days of my life. It was mentally exhausting. By “helping them out,” she meant neutering or spaying them so that they can’t have babies. Things got much harder when the veterinary doctor came to me and said that Puppy was pregnant. It wasn’t just spaying now. It was abortion. This is how it all happened. 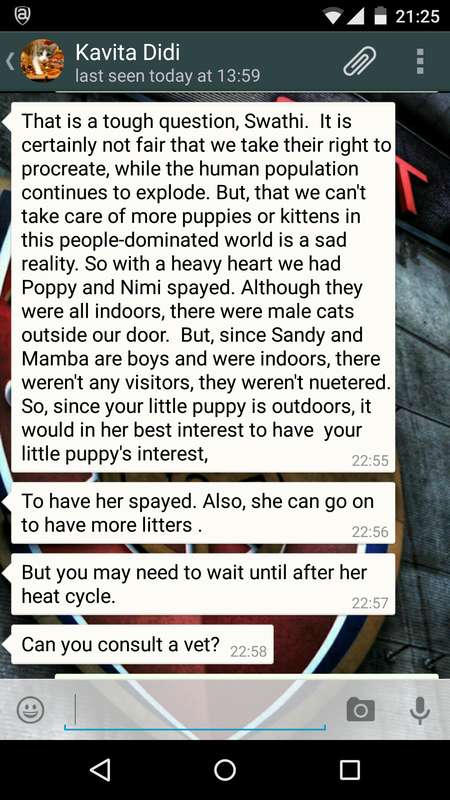 Around a month ago, a female Puppy that lived outside my house got into her heat cycle. When female dogs are in their heat cycle, they attract males from miles away. It was a terrible sight to watch the male dogs mount themselves on her, whether she liked it or not. She couldn’t sleep at all because male dogs just lined up to mate with her. I don’t know whether I was doing the right thing, but I brought Puppy inside two days after her heat cycle began. I kept her in my house, taking her for walks four times a day so that she could still play with her friend, Piccolo. 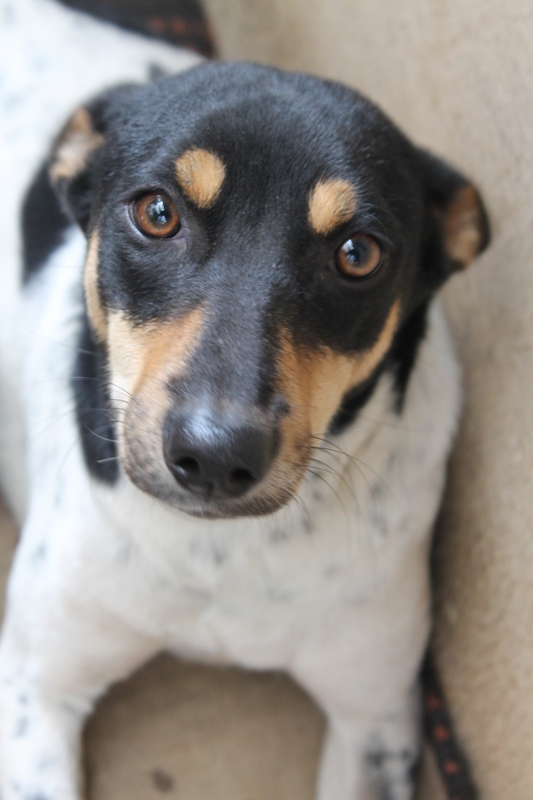 Piccolo is another male dog in the area, who dotes on Puppy. Even now, he comes like a bodyguard with Puppy and me when we go for our walks. For a few days, she didn’t like being inside. She wanted to be outside with her friends. But I made her sleep in my room, bought her a few toys to chew on, played with her every evening after work and promised to let her out after we operate her. I could get her operated only after her heat cycle, which lasts around 45 days. I waited and waited, and thinking it was over by now, I took her to the vet today. The doctor called me in after the operation and showed me the six half-grown foetuses he had just removed from her. They were strung together with the placenta. They looked like tiny balloons. In 15 days, he said, Puppy would have littered. Who would take care of them if they were born? I don’t have the capacity to take care of seven dogs. I can’t even keep one. I wouldn’t have the heart to separate Puppy from her babies and give them up for adoption. There are more than 10 rogue dogs around the area that I wouldn’t trust to let the puppies live on the streets. If they did, who would feed them all after they’ve grown? Moreover, Puppy is still only around 9 months old. Would she survive childbirth? My mind was teeming with all these questions. In fact, these questions were what helped me justify my decision to get her spayed. It wasn’t a decision I made easily. I’d been reading about it every single day for over a month. Most articles I read online told me to spay her. Not trusting the internet, I asked my friends. My two most favourite people, Rahul and Nuvena, were dead against it. And I almost always take their opinions seriously. You do not have a right over Puppy’s life and her puppies’ lives. You cannot take away her right to be a mother! These were the lines thrown at me by them, and by my own mind. Just to make sure I spoke to the person most concerned about animals, I contacted my cousin, Kavitha didi. She has dedicated her whole life to animals, fighting for their rights. She has been a vegan for over 20 years now and is a role model to me. Her opinion was what would convince me, if anything. So i took her advice and went to the vet. When the doctor told me she was pregnant, I was doubly torn. Will Puppy know what I’ve done to her? Will she ever forgive me? Will she go into depression? How can I do such a terrible thing to her? She would have been a loving mom. If I put myself in her place, I’d be furious. I asked the doctor all these questions. He tried to convince me saying I was doing a good deed by sterilising six more dogs. He said birth control is the need of the hour. Well, thinking practically, it makes sense to get street dogs spayed. It’s not easy to take care of them in this hostile urban world. Not many people like street dogs. Besides, I’ve always been pro-choice. Nip it in the bud before it grows up without love and care is what I believe. But when you aren’t making the decision for yourself, it isn’t that easy. I still haven’t answered that question. All I know is that it was the toughest day. Watching everything, right from Puppy getting anesthetised, to her dropping out of consciousness, my dad carrying her to the operation table, peeking into the window of the operation room to see how it was going, everything was a huge struggle. During the 10 minute operation, my dad and I were constantly pacing up and down, exactly like they show in movies. I couldn’t keep my voice stable. There was a point when I broke down because I couldn’t take it anymore. My dad and I were equally concerned about Puppy and trying in vain to convince each other that she’ll be fine. The most heart-wrenching moment for me was when she was still lying unconscious at home. She couldn’t move, not her eyes, not her ears, not anything. She lay there, limp, with her tongue sticking out. I sat next to her and said, “Puppy, I’m sorry.” And I was shocked to see her tail wag just hearing my voice. Someone said that Puppy has the deepest trust in me because she knows I won’t let anything bad happen to her. I hope that still holds good. To all those of you planning to get your dogs neutered/spayed, I wish you good luck. Special thanks to my dad, who has been with me throughout my time with Puppy, advising me what to do and taking care of her all day himself. I’d never be able to handle Puppy without him. Heck I wouldn’t even love dogs this much if not for him. So thank you appa! 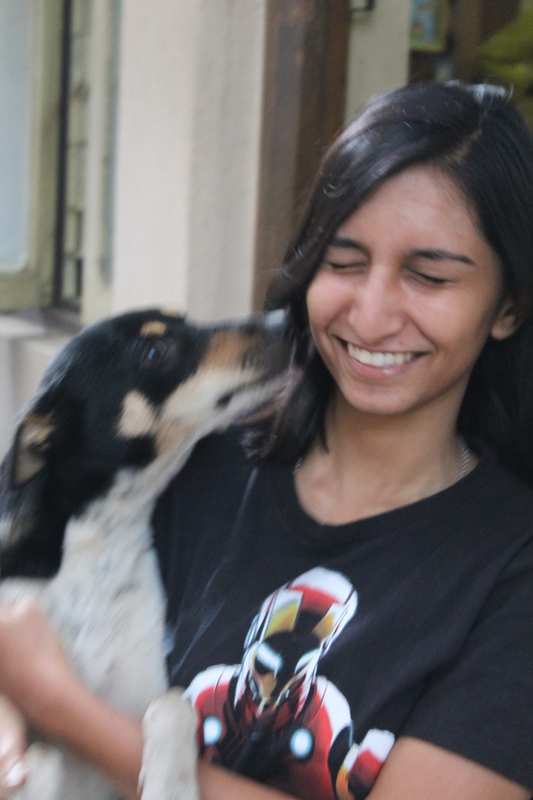 And to my mom, who takes care of Puppy and ensures she feeds her, even if she has to sacrifice her own curd rice. A hug from her after the operation was all I needed to calm me down a bit. 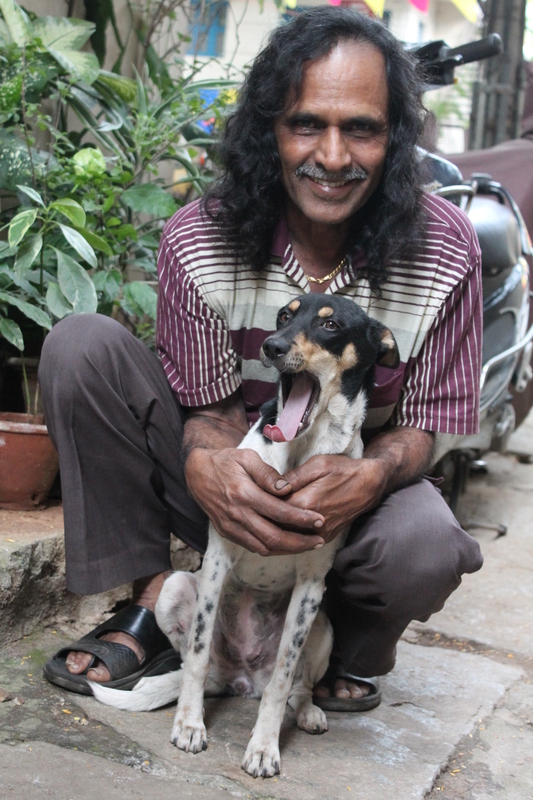 Also, a lovely and selfless lady called Geeta Mishra helped me incredibly in getting Puppy spayed. If you guys know stray dogs around your house that need to be neutered, do feel free to contact me. I’ll put you through to her. Thank you for sticking around till the end of this post. They say that a dog’s behaviour is a reflection of its master’s. My first dog was a rascal (I don’t mean to be rude, Simba. But you bit someone). This one, I call her Puppy, is a darling. Every time she sees someone enter the house, her ears fly back and her tail smashes everything in its vicinity with excitement. She has learnt to be the most friendly dog in the neighbourhood. Her eyes are the most adorable, truthful eyes I’ve ever seen.